Money is a legitimate concern if you’re looking to study abroad, especially as a college student. However, don’t let the thought of funding your study derail your dreams of having one of the best experiences of your life. Many students do not realize the myriad of scholarships that are available to them when they decide to study abroad. Not only do most universities offer scholarships that carry over into study abroad programs, but there are tons of opportunities through individual entities and study abroad organizations for students to receive extra funding for their experience. Below we discuss 35 of the most common scholarship opportunities available to students who study abroad through USAC. There are plenty more scholarships available to students and we provide some additional places you can find scholarships at the bottom of this article. Any student that will be the first individual in their family to graduate from college is eligible to apply for this scholarship. Multiple awards will be given in the amount of $750-$1,000. All U.S. Military Personnel (active or veteran status) are eligible to apply for this scholarship. Multiple awards will be given in the amount of $750-$1,000. We pride ourselves on providing well-rounded, academically sound and credible programs in non-traditional locations or in unique parts of more traditional places. Scholarships are available for each of the five geographic regions with USAC programs (Europe, Asia, Latin America, Africa, and Oceania). All students with a minimum 3.0 GPA are eligible to apply. Multiple awards ranging from $500-$1,000 will be awarded each semester. Students attending a USAC Affiliate University, consult your home university’s study abroad office for details whether USAC scholarships are available. If you are eligible, you will apply directly through your home university. If you do not attend a USAC Affiliate University, we have scholarships available just for you. In some instances, we may have scholarships specifically allocated to your university as well. To honor USAC’s long history in international education, Legacy Scholarships are available to the children, siblings, and spouses of alumni (a paying participant who previously attended a USAC Program). Awards will be given in the amount of $300 for summer session or $500 for semester. All degree-seeking students with a declared STEM major or minor and a minimum 3.0 GPA are eligible for this scholarship. Multiple awards will be given in the amount of $750-$1,000. As a scientist, Dr. Fields had a distinguished international career that lasted more than four decades. She worked in Canada, England, Israel and the United States. This scholarship was established to commemorate her research and academic work in STEM fields around the world. 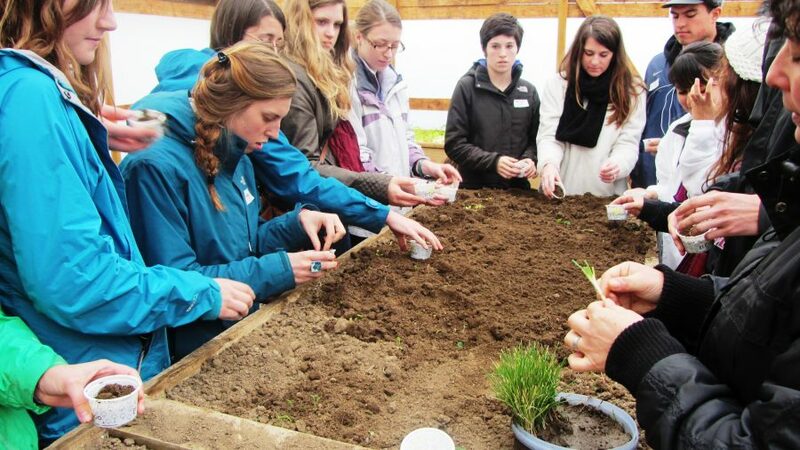 Degree-seeking students from Boise State University, the University of Idaho, the University of Florida, the University of Missouri, or the University of Nevada, Reno who have a declared STEM major or minor are eligible to apply for this scholarship. Students should consult their home university’s study abroad office for application deadlines and details. Dr. Marianne Cooley is a Professor Emeritus at the University of Houston who served as a USAC Visiting Professor in Chengdu, China on two separate occasions. Degree-seeking students attending the Chengdu or Shanghai, China programs with a minimum 2.5 GPA are eligible for this scholarship, which will be awarded each semester. Dr. Frank Triplett is a Professor Emeritus at the University of Mount Union who served as a USAC Visiting Professor in Pau, France on three separate occasions. Degree-seeking students with a minimum 2.5 GPA attending the Lyon or Pau, France programs are eligible for this scholarship, which will be awarded each fall and spring semester. A USAC Torino alumnus of Fall 2010, Colin Proctor founded this scholarship with his sister, Megan, in memory of their late mother, who encouraged and supported their desires to study abroad. Colin majored in Accounting and Finance at the University of Nevada, Reno (UNR), and his time in Torino and traveling throughout Europe inspired him to continue traveling and pursuing his goals after graduation. He has traveled to more than 50 countries and is a Certified Public Accountant and entrepreneur. Both Colin and Megan continue to use the skills they learned abroad in their personal and professional lives. Degree-seeking students participating in the Torino, Italy program in the fall, spring or full academic year are eligible, and preference will be given to students with high finanical need. A $1000 award will be given in the fall and spring semesters. Frank and Carol Nota, the parents of USAC CEO, Alyssa Nota, were educators for over 35 years – touching the lives of thousands of students—and both were deeply committed to education, travel, family and their Italian heritage. They embodied and instilled in their 3 children the development of integrity and character that come from education – at home, abroad and in every part of one’s life. Degree-seeking students with a declared major in English, history, anthropology, sociology, psychology, Italian language/cultural studies, or education and a minimum 3.0 GPA attending a Summer 2018 or Spring 2019 Italy program are eligible. Two $500 awards will be given in Summer 2018 and one $1000 award will be given in Spring 2019. Dr. Carmelo Urza is the USAC founder and CEO Emeritus. His early life was greatly influenced by the North American Basque Organizations (NABO) and helped to inspire the creation of USAC, with the inaugural program starting in 1983 in the Basque Country. Degree-seeking students who are NABO members or whose parents are NABO members, hold a 3.2 GPA or above, and are participating in the San Sebastián or Bilbao program are eligible to apply. An award of $2,000 will be granted each fall and spring. In addition to completing the USAC Scholarship Application in your USAC Gateway Account, eligible students must complete the Carmelo Urza Scholarship Application Form. The deadline to apply is April 1 for fall programs and November 1 for spring programs. The University of Bristol, USAC’s longtime partner in hosting students in England, is offering £2,000 scholarships to help USAC students make their dreams of studying in England come true. 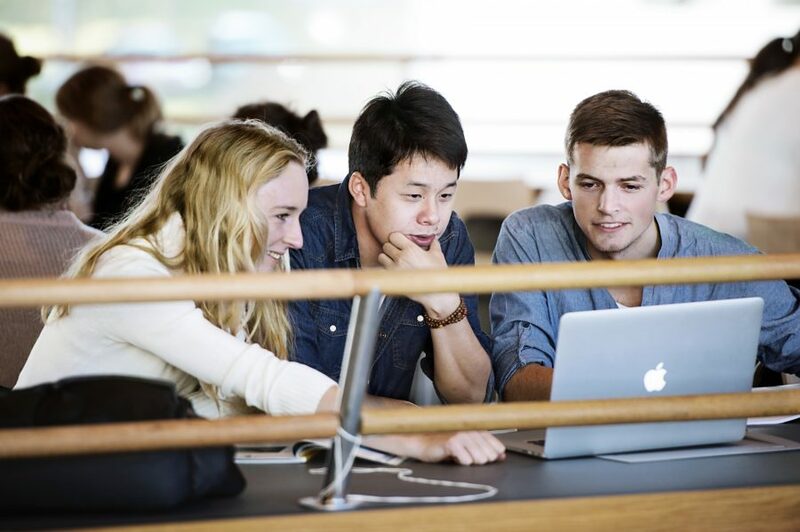 Degree-seeking students with a minimum 3.25 GPA who will study at the University of Bristol for a semester or year are eligible, and preference will be given to STEM and yearlong students. Funds will be awarded on-site. Massey University, USAC’s longtime partner in hosting students in New Zealand, is offering $400 scholarships to help USAC students make their dreams of studying in New Zealand come true. Degree-seeking students with a minimum 2.75 GPA who will study at any of Massey’s campus locations in New Zealand—Palmerston North, Auckland, or Wellington—are eligible. Dr. Félix Menchacatorre taught on and directed the Spain programs for 25 years, building programs in San Sebastián, Bilbao/Getxo, Madrid, and Alicante. Additionally, he was instrumental in developing other programs and shaping what USAC is today. 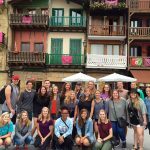 This $500 memorial scholarship available each semester to degree-seeking students with a minimum 2.75 GPA attending the San Sebastián or Bilbao program. University of Nevada, Reno students must also have completed their MyNevada General Scholarship Application by February 1 to be eligible. Kody Bressman was an honors student at the University of Nevada, Las Vegas who graduated with a Bachelor of Science degree in Business Administration, with a focus in Accounting and Spanish. 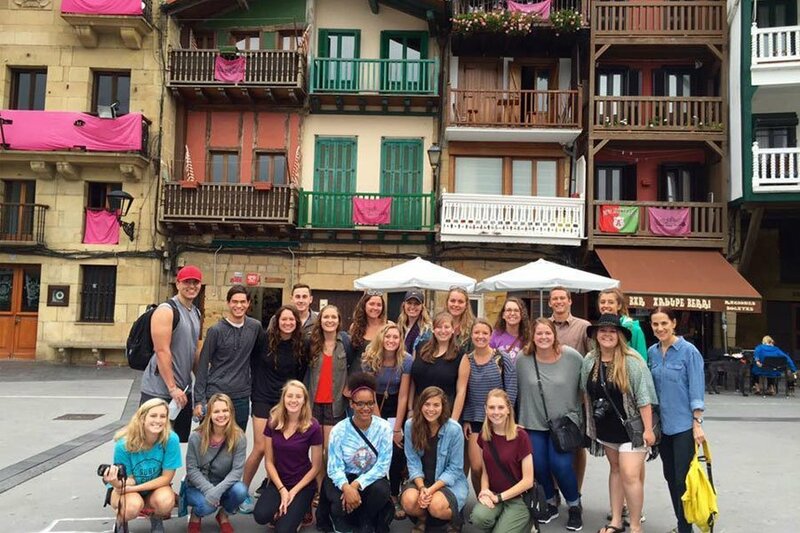 While in college, Kody studied abroad in San Sebastián, Spain and lived with a Basque host family for six months. During his time on the USAC program, he made many friends and became extremely close to his host family. Kody’s passion and throttle for life were dynamic. He loved and cherished his family and friends as a caring son, a loving brother, an inspiration, and a friend to everyone he met. Degree-seeking students participating in a San Sebastián program with a minimum GPA of 2.75 are eligible. Multiple awards ranging from $500-$2,500 will be awarded each semester. The Boren Scholarships provide an opportunity for students to study less commonly taught languages in different regions throughout the world. The scholarship represents students who want to work in the federal national security arena and students must commit to working in the federal government for at least one year after graduation. The National Italian American Foundation awards scholarships to 60-70 students each year. Students must be a member of the NIAF or have a parent/grandparent/guardian who is a member. Students must also have a GPA of at least 3.5 and have at least one ancestor who has immigrated from Italy. The Freeman-ASIA is open to U.S. citizens or permanent residents that are studying at a two or four-year undergraduate level and plan to study abroad in East or Southeast Asia. The funding can be used to cover study abroad program and related costs such as airfare, living costs, local transportation, books, etc. The Astrid G. Cates/Myrtle Beinhauer Fund is available to current members of the Sons of Norway or children/grandchildren of current members. The membership must be in effect at least one year prior to application. Students must have completed high school and be enrolled in post-secondary training, vocational/trade school or college. The Gilman Scholarship is an undergraduate grant program that is available to students who are receiving Federal Pell Grant funding at a two or four-year university or college. The Gilman Scholarship awards more than 2,800 students of up to $5000 each academic year. Students who are studying a critical language will automatically be considered for the Critical Need Language Award for a total of $8,000. The Delta Phi Alpha Scholarship is available to undergraduate students who are members of Delta Phi Alpha. The funding is available for students who plan to study abroad in Germany. The Nancy Lorraine Jensen Scholarship is available to American citizens between the ages of 17-35. Students must be a female member or the daughter or granddaughter of a current member of the Sons of Norway. Students must also be majoring in chemistry, physics or in chemical, electrical, or mechanical engineering and have completed at least one term of studies towards their major. The Bridging Scholarships are available to students who are participating in a study abroad program in Japan. The foundation awards approximately 100 scholarships each year. The student must be studying abroad for at least three months and earn credit that will transfer to their home campus in the US. The Haifa Scholarship is available to students who will be studying abroad in Haifa, Israel. Scholarship awards are based on financial need. The Tortuga Study Abroad Scholarship is awarded biannually to students who are wanting to explore the world. The scholarship is open to full-time undergraduate students that are in good academic standing with their college or university and must be accepted into a study abroad program that is eligible for credit by their college or university. The BUTEX Awards are open to all undergraduate students who are affiliated with a BUTEX Full Member institution. Students must be studying abroad in a place that is not eligible for a ERASMUS grant. Students must also be studying abroad in the UK for a minimum of one semester. The Joan Nelson Study Abroad Scholarships are available to full-time and part-time undergraduate, graduate and post-graduate students. Students must be enrolled in a degree-granting study abroad program and be a Golden Key member. The Ashley Soulé Conroy Foundation is available to all students who are studying abroad. The LIVFund Scholarship is available to students who are looking to study abroad in one of the following 21 countries: Argentina, Belize, Bolivia, Brazil, Chile, Colombia, Costa Rica, Cuba, Dominican Republic, Ecuador, El Salvador, Guatemala, Honduras, Mexico, Nicaragua, Panama, Paraguay, Peru, Puerto Rico, Uruguay and Venezuela. The scholarship is open to students who are studying or volunteering abroad. 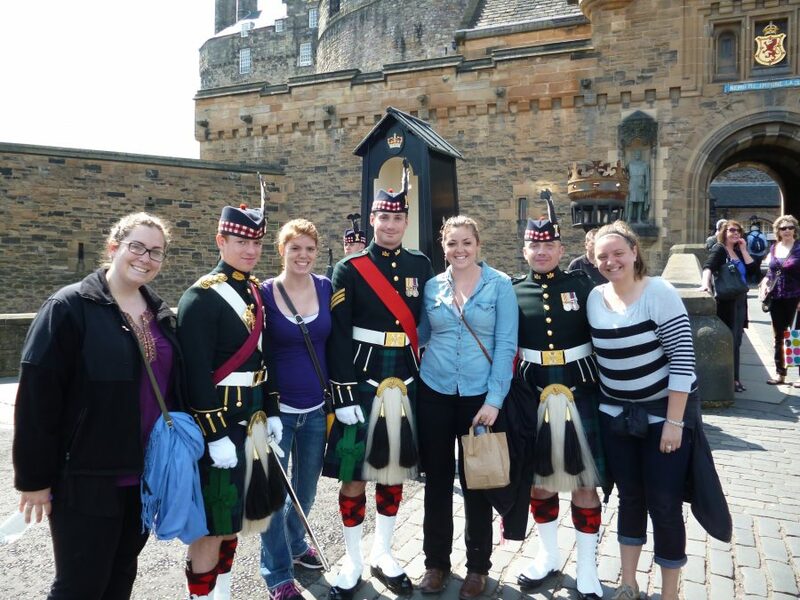 Scholarship winners must complete at least three blog entries on the LIVFund blog detailing their abroad experience. Go Overseas offers a study or intern abroad scholarship to any student that is enrolled in an American institution. The scholarships are available at various times of the year, so students should check the website to stay up-to-date. Winners are selected based on their creativity, enthusiasm, and social media posts. The Good Colleges Study Abroad Award is open to all students who are wanting to study abroad. Students must complete an essay that follows the current Award’s theme. To learn about the current theme visit the Good Colleges award website. The Allianz Global Assistance Scholarship is available to U.S. residents who are over the age of 14. Entrants must submit a 60-90 second video or 500-word essay about what inspires you to travel abroad. The National CPR Foundation scholarship is available to students who are aspiring to or currently studying healthcare or education. The scholarships are awarded monthly on a rolling basis. Applicants must be 18 years of age and have a minimum GPA of 2.8 and be currently enrolled in school majoring in a healthcare or education-related field. I will also want to achieve on First generation opportunities …what should I do to achieve it ? Thanks for the nice blog shared good information. This list of countries is really amazing. Nice article, I love to read these type of informative articles. I would like to share it with https://typicalstudent.org team. Thanks Brandon, we’d love for you to share it! Good article about the scholarships. I really liked your article.